And it wasn't even that warm at the time! :) I don't know why, but I am crazy in love with this silly un-sharp picture. It's that hovering car, I think. LOL! looks VERY familiar ...blur and blossoms what could be better! I can see why you love it, that hovering car is pretty cool! 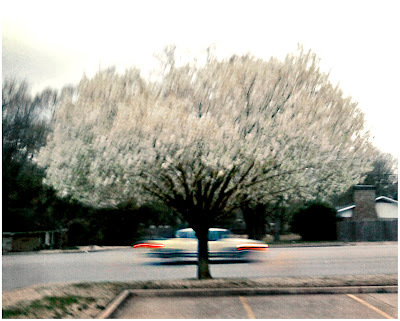 A dreamlike blur of blossoms. i'm in love with th is photo!